Home / Sports Memorabilia / Oslo 1952 Winter Olympics torch to beat $75,000? Oslo 1952 Winter Olympics torch to beat $75,000? 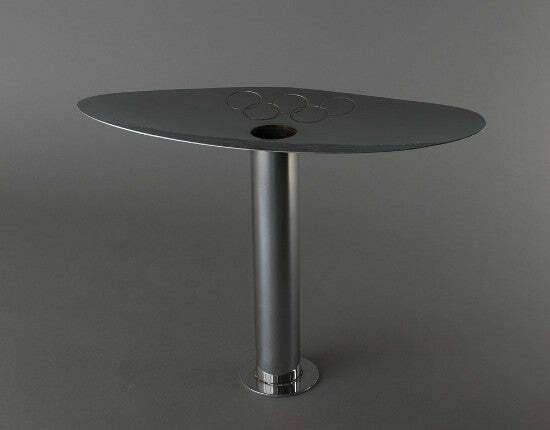 RR Auction will offer an Oslo 1952 Winter Olympics torch on July 14-21. The lot will lead the online auction of Olympics memorabilia with an estimate in excess of $75,000. Unusually, it bears the name of the man who carried it, Ragnar Navelsaker, and the date February 13, 1952. The auction house comments: "Exceedingly rare, a total of only 95 torches were produced. "As the torchbearer's name and date of participation are usually unknown for torches from these early relays, this identified example is particularly desirable." Winter Olympic torches tend to be considerably rarer than their summer equivalents, as the event's lower profile meant fewer relayers were needed. The record for any Olympic torch is £420,000 ($555,513), set for one from Helsinki 1952 at Graham Budd Auctions last year. A London 1908 gold winner's medal is valued in excess of $15,000. The lot is made from solid gold, increasing its desirability to collectors. Solid gold medals were only awarded at four Games between 1900 and 1912. This one was awarded to the British team for victory in the shooting event. It's one of 250 produced for the Games. Love sport? So do we, click here to look at all our sports memorabilia for sale.